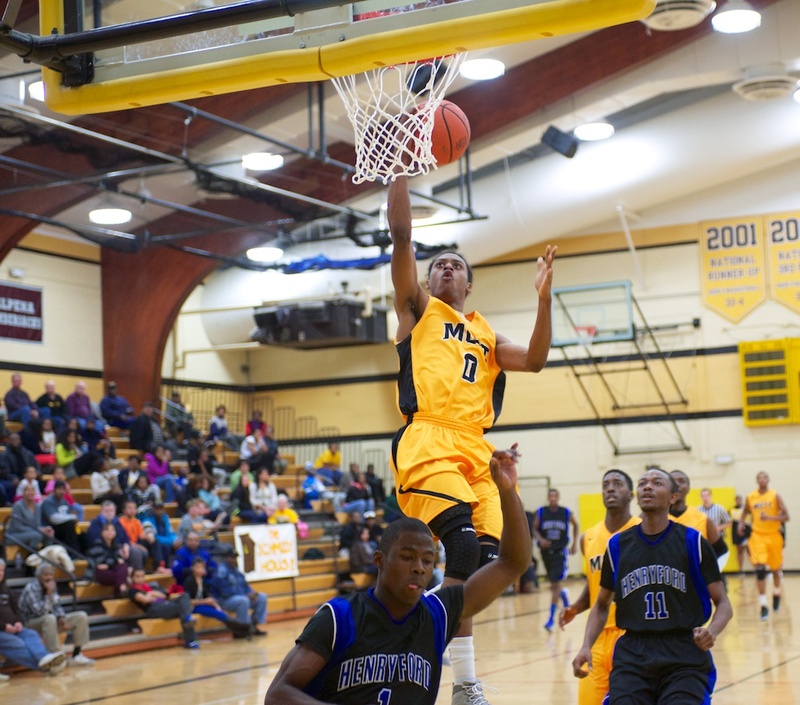 Mott sophomore Malik Albert continued his hot streak in Toledo on Tuesday night. The 6-2 combo guard poured in 36 points including 25 in the second half to lead Mott to a big 89-79 win over Owens, a team that knocked the Bears off last season south of the border. Mott led by six at the half and by as many as 12 in the game. Albert has now scored 107 points in his last three games. He’s putting up numbers that are eerily similar to former Mott All-American and National Player of the Year John Taylor. He is currently leading the nation at this level in points per game (31). Iowa State was in the building Tuesday night, so you can be assured he’ll hear from the Cyclones in short order after that performance. Owens had won three straight games before Tuesday night, all blowouts against MCCAA teams (Lake Michigan, Henry Ford and Macomb). Ruston Hayward, fresh off his 30-point effort Saturday night, scored 13 points with five rebounds and three steals. Sophomore Myles Busby scored 10 points with nine rebounds. Freshman point guard Marcus Johnson, back from an injury suffered against Lansing last week, scored 11 points with five assists and one turnover. Owens (6-3) was led by Bikramjit Gill, who scored 19 points with 11 rebounds. Mott (5-1) will return to action at 7:30 p.m. next Wednesday versus Jackson. Mott freshman Ruston Hayward slams home two of his 30 points Saturday night. Sophomore guard Malik Albert scored 24 of his game-high 31 points in the first half, as Mott (4-1) rocked Kellogg CC 109-67 on Saturday night in Flint. Albert added 12 assists and seven steals to the best all-around statistical performance of his career at Mott. Through five games, Albert is averaging 30 points per game. Mott’s 6-4 freshman forward Ruston Hayward (Houston) came off the bench and poured in 30 points with nine boards in only 18 minutes of action. Hayward shot 12-for-16 from the field. Hayward missed two free throws near the end of Mott’s 83-81 loss to Lansing Wednesday night, but quickly put the shortcoming behind him. Sophomore guard Devin Foster (Chicago) chipped in 10 points with five assists. The 6-4 guard has struggled a bit this season, but showed some signs of a breakthrough against Kellogg. For the first time this season, Mott started 6-6 freshman forward William Abbott (Detroit). He rewarded Coach Schmidt with a strong effort — seven points and eight rebounds. Mott will need Abbott to be productive this season, as he fits the mold of the athletic five that Schmidt has had a lot of success with over the years. Mott played without starting freshman point guard Marcus Johnson (Charlotte, NC) who sustained an ankle injury in the game against Lansing. Kellogg was led by 6-5 freshman Vadale Jackson (Detroit) with 19 points and nine rebounds. Mott returns to action at 7:30 p.m. Tuesday on the road at Owens (Ohio). The Express are coached by former Mott assistant Dave Clarke. Mott forward Ruston Hayward reacts after missing two late free throws against Lansing Wednesday night. Lansing sophomore Devlin Bell pulled down a rebound and put it back for two points as the buzzer sounded Wednesday night to give Lansing a huge upset victory over no. 2-ranked Mott, 83-81. The win was Lansing’s first over Mott since 2009. Bell finished with 19 points and a game-high 11 rebounds. In the first five minutes of the game, it looked like a sure blowout. Only it wasn’t the eventual winner that appeared primed to win the game going away. Lansing (4-2), in spite of a 17-2 run by Mott (3-1) to start the game, regrouped, erased a seven-point halftime deficit and a six-point deficit with two minutes to go, to pull out the win. Mott sophomore Jamal Reynolds drives for two of his 10 points Saturday night against Kalamazoo Valley. FLINT, Michigan — Two of Michigan’s top JUCO players went punch-for-punch Saturday night at the Steve Schmidt Gymnasium in Flint. The last man standing was Malik Albert, whose stock is rising with each passing game. Albert scored 30 points to lead no. 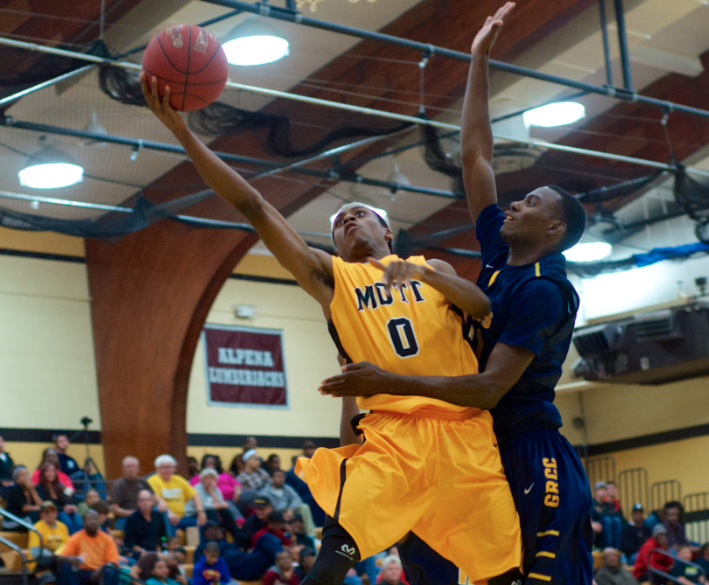 2-ranked Mott to a 92-77 win over Jevonte Hughes and Kalamazoo Valley. It was the sophomore guard’s second consecutive game with 30 or more points. So far this season, Albert is averaging 28 points per game. This was a bigger win for the Bears than one might think, after KVCC’s surprising win over no. 8-ranked Owens on Wednesday night. The Cougars scored 117 points on Owens in Toledo, but could not handle Mott’s defensive pressure. KVCC lost the turnover battle 18-7 and that factor, more than any other, cost them a chance to win the game. Mott Sophomore forward Myles Busby (Niles, MI) is one of four returning sophomores for no. 2-ranked Mott this season. Through two games, the 6-4 leaper leads the team with 20 rebounds. FLINT, Michigan – More often than not, winning isn’t about height or hype, but something you won’t find in a preseason publication or online message board. 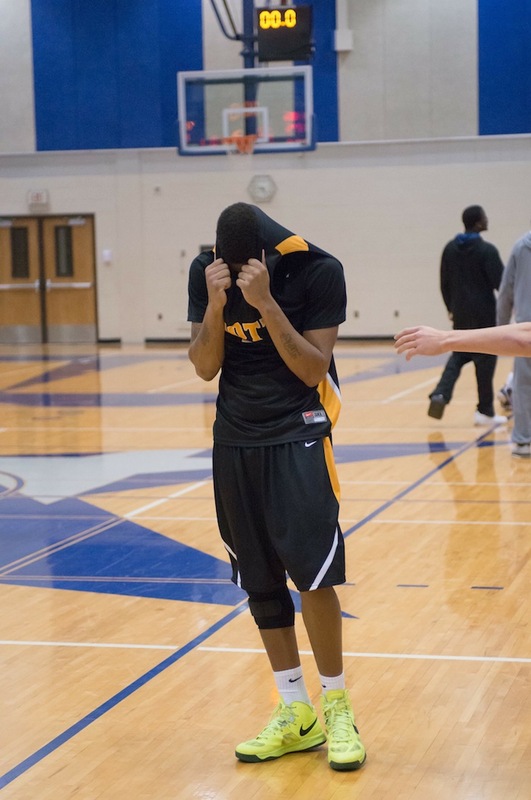 What’s going to separate the 2013-14 Mott Community College Bears, currently ranked no. 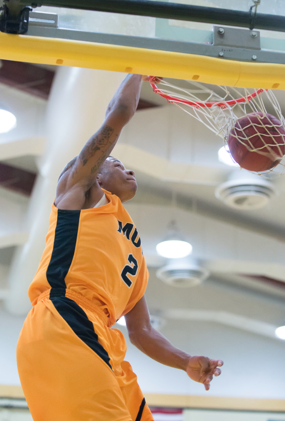 2 in the NJCAA national poll, will be leadership – on and off the court. Last season’s team had the talent, the size, the depth and nearly every other ingredient needed to win it all – save for one. “Already one of last year’s weaknesses (team leadership) is looking like it will be one of this year’s strengths,” said Mott head coach Steve Schmidt, who led the Bears to conference, state and regional titles last season. Players like Myles Busby, a springy second-year forward, will be counted on to set the tone for the season. FLINT, Michigan — The best guards won. No. 2-ranked Mott Community College, the “Guard U” of the junior college ranks, started the season in impressive fashion Friday night, lighting up Grand Rapids, 87-68. The two teams sparred with mostly whiffs for the first five minutes of the game, but it wouldn’t last. Mott, led by sophomore guard Malik Albert, went back to the old playbook — using defense to spark their transition offense. Albert, who led all scorers with 21 points, was aggressive going to the basket and drawing fouls. He hit 10-for-10 from the line, complementing an amazing 24-for-28 performance as a team from the charity stripe. The Bears (1-0) led by 14 at the break and by as many as 25 midway through the second half after a barrage of 3-pointers from Albert and freshman guard Marcus Johnson. The Bears shot 39 percent from 3-point range as a team, hitting on nine of 23 attempts. Grand rapid whittled Mott’s lead down to 13, but the Raiders couldn’t get any closer. Grand Rapids (0-1) was paced by Courtney Hill’s 19 points. Willie Dukes added 10. Johnson set aside the early-game jitters and finished strong in his first game as a Bear. He scored 19 points with three rebounds and an assist. Sophomore Myles Busby led the team with 11 rebounds and three steals. Albert added five rebounds and five assists to his 21 points. Sophomore Chester McFadden added 12 points and five rebounds. Probably no one outside the program expected to see these five guys starting on opening night: Albert, Johnson, Busby McFadden and Matt Romano. The latter is a local product (Flint Kearsley), a 6-4 freshman forward who played 22 minutes in his first game. Mott returns to action next Saturday at 3 p.m. on the road against Sinclair CC in Dayton, Ohio. Mott sophomore Malik Albert leads the Bears into their home opener with no. 10 -ranked Grand Rapids. 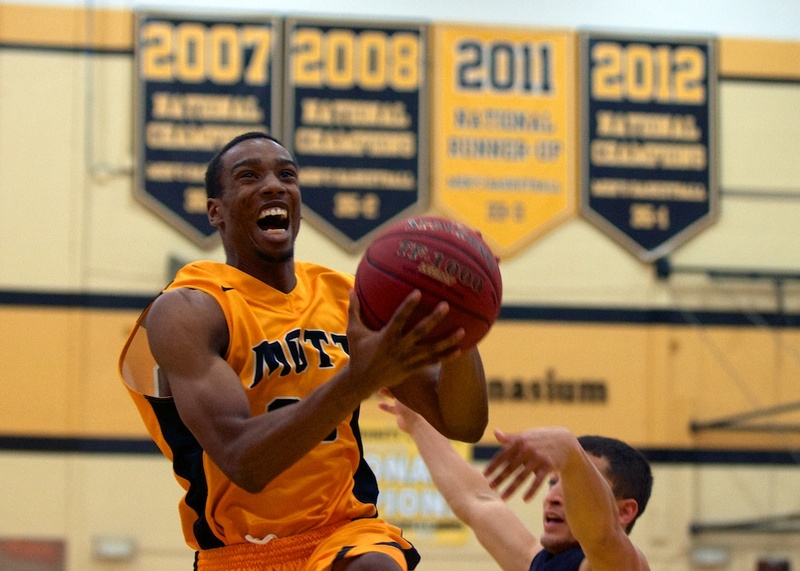 Albert was Mott’s second leading scorer last season with more than 13 points per game. The Steve Schmidt Field House on the campus of Mott Community College in Flint is the place to be Friday night. The no. 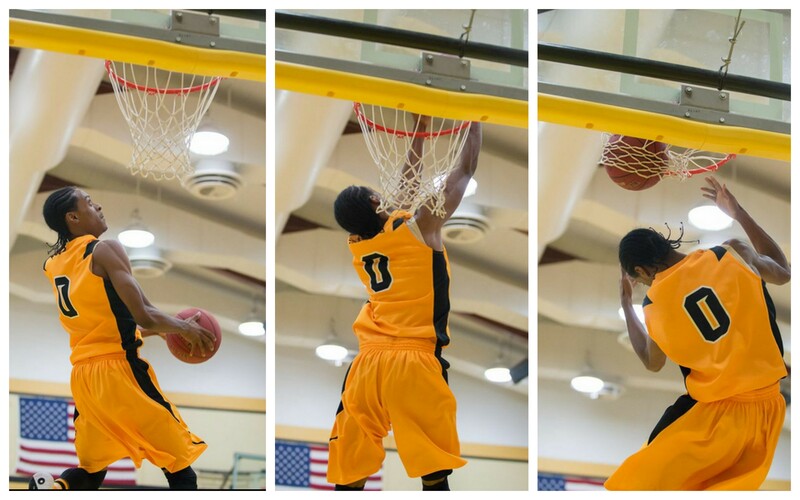 2-ranked Mott Bears, coming off a 31-5 2012-13 season, host no. 10 Grand Rapids at 7:30 p.m. These two teams have played a series of dramatic games over the last several years, and Friday night’s game should be no different. Last season, Mott trailed the Raiders by 11 at the half before storming back to win the game by three. Neither team has an abundance of returning players, but both programs have little trouble attracting talent. One major absence for the Raiders is sophomore guard Kevin Badger, who is ineligible. Badger is a hard-nosed combo guard who gave Mott some trouble last season. All is not lost, however, as GRCC does return two of its top scorers in 6-2 forward Willie Duke and 6-4 guard Deonte Hudson. 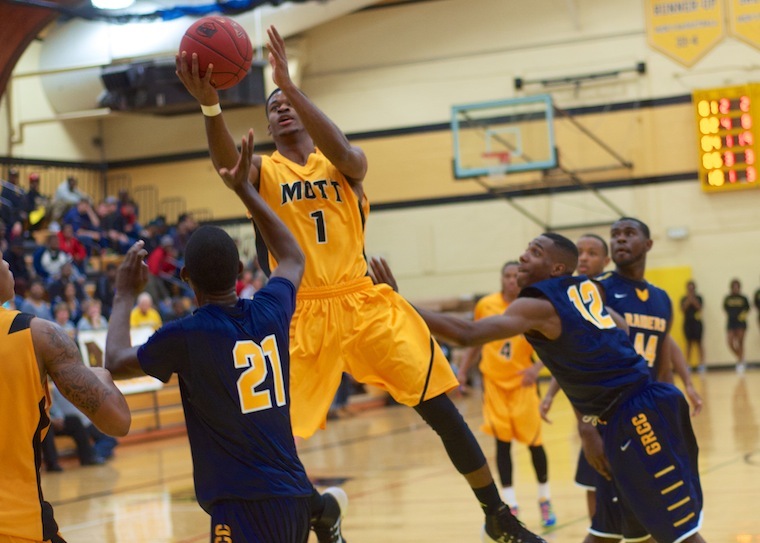 Mott returns four sophomores including 6-2 combo guard Malik Albert, the team’s second leading scorer. Joining Albert are sophomores Myles Busby, Chester McFadden and Devin Foster. Neither team has an abundance of size, so this game will probably be decided in the backcourt. That’s great news for Mott, as head coach Steve Schmidt has a stockpile of them this season. Listen live online at MRSN.us starting at 7:30 p.m.